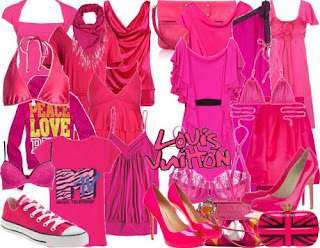 Jim: This is a great article in the Wall Street Journal about the newest color hitting all the runways: Magenta. Even in New York, a city that perfected head-to-toe black, we are seeing more bold, vibrant colors. The "Fuchsia Phenomenon" is anything but bleak, and who couldn't use a little uplifting during these tough times? Tracy: My 2 year old does not sit still long enough to watch the full show, but she LOVES the "sunny day" song that starts Sesame Street. This video is great! A way for all ages to enjoy something we all love(d) as kids! Ashley: I am always looking for different ways to keep my family on track. I found this wonderful idea on how to use a dry erase board as a parenting tool on the Blissful Kids blog. I know my children will love using their boards to write notes to the family, work out math problems, or practice their handwriting. The list of possibilities goes on and on. Kara: My nieces and nephews love drawing on the driveway with chalk during the summer. I thought of them when I received a newsletter from Crayola highlighting their Outdoor Chalk Products. How cool is the Sidewalk Paint Sprayer? Chalk has come a long way since I was a kid! Carol Marie: As a new mom, I’m trying not to spoil my child by buying too many clothes, toys, etc. But I can’t help myself. I found this website, Baby Plays by accident when searching blogs about babies and toddlers...just to find out what other parents are thinking! The most recent blog entry was about a toy rental program. 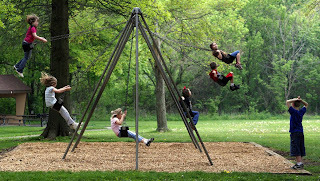 I went to the BabyPlays site and thought it was a convenient, fun and eco-friendly idea. It’s like Netflix for toys! Save up to 35% on Polo Ralph Lauren basics for One Week Only! Click here for all Polo merchandise on Sale! Well, you've made it through the sleepless nights, bouts of colic, and endless diaper changes. Welcome to the toddler years! Now your little one is sleeping all night, smiling, laughing, attempting to feed themselves and seem to have a mind of their own. I’m sure you’ve heard the phrase Terrible Two's...well, they are not terrible, it's just that it can be difficult for them to articulate exactly what they want. They can become very frustrated, sometimes while you’re out in public. You will get lots of stares and comments from on-lookers. Don’t pay any attention to them! They’ll pass by right out of your life and you’ll never see them again. Spend your time comforting and consoling your child. Your child is WAY more important than any comment or stares. One piece of advice I will give you, don’t take your toddler shopping. They get bored quickly and you can’t entertain them and shop too. Try to either get a sitter or better yet, shop online or from a catalog. You can sit and drink your coffee while you shop. You can shop while they’re napping, or even shop in your jammies and fuzzy slippers. Most importantly--you'll be shopping in peace! Okay, now you’re shopping. What size do I buy? What does that “T” after the size mean? What are grippers? Grippers are the snaps on the inseam of pants. Before your child is potty trained, they come in pretty handy. Nothing worse than having to take off pants to change a diaper! The “T” after the size means Toddler. When my children were small, the “T” was a pretty good indicator the garment would have grippers. I don’t think too many manufacturers are adding grippers to their garments today. Pretty much today, the “T” simply identifies a size range. I told you in my segment on infant sizing to double their age and buy that size. With toddlers, it is pretty much “buy a size larger than their age”. If they are 2, buy a 3T, 3 buy a 4T, 4 buy a 4T or 4/5. Also, tops with bands at the wrist will allow you to buy larger. The sleeve stops at the wrist, so it doesn’t have to be pushed up to wear. Same thing with pajamas. Ski pajamas (those without feet) stop at the ankle so you can order larger for more wear. However, always remember to follow the manufacturers sizing guidelines regarding safety. If they have to be worn snugly to meet government standards, then that’s what you must do. Brands like Sara’s Prints which are inherently flame resistant, do not have to be worn snugly. Toddlers are a fun age. This is the age you can still decide what they wear. Once they start school their friends will influence your purchase. Remember, two year olds know what they want, but can’t verbalize. Three year olds know what they want and can ask for it. Four year olds know what they want, can verbalize it and want it right now! Four year olds are great because you start to have real conversations with them. They are very inquisitive and loving. Usually they are big huggers at this age. Enjoy their toddler years, they prepare you well for school! Super Markdown! CWDkids Exclusive Girl's Tank Pajama Sets and Boy's Puma Dazzle Shorts are the Wednesday Deals of the Day! 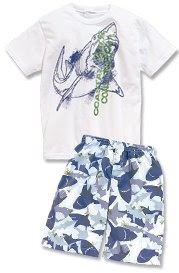 Boy's Puma Dazzle Shorts - Regularly $16.98 Wednesday Deal - $8.00! These offers will expire 11:59 EST tonight (Wednesday, May 27th), so don't wait. Stock up for summer now! In our Wednesday staff meeting, Kara was talking about a baby class she had taken the night before. She said it was a two hour class and they had only covered the feeding and bathing of the baby! So much to learn so many questions to ask! Something I don't think is offered in any class is how to select infant clothing. What size do I buy? What fabrics are best for my baby? What items do I need to purchase? Well, most super baby stores gladly provide prospective parents with a list of "must have" items. Most of these lists don't mention clothing. So, I thought I would offer a few suggestions regarding what to buy and what size to buy as well. Let's start with basics. I liked gowns on my babies. Gowns allow for freedom of movement, easy diaper changing access and they keep body temperature regulated. Great for keeping them snug at bedtime! These come in layette sizes and progress up as the baby grows if you want to continue to use them. Next, I prefer the one piece romper that is footless. The ones with feet are nice, however since foot size varies from infant to infant you may find one that fits the body not the feet. Don't want those toes all curled up! The footless ones are also better if your baby has a long torso. Once you find the correct size, just put on some booties or socks to keep their toes toasty. These come in in layette to about 12 month sizes. When it comes to your fashion purchases, the sky (or grandmother’s purse) is the limit! Some manufacturers will give you length and weight charts on their garment hang tags. This is very helpful, so use them if offered. If a chart isn’t available, a pretty good “rule of thumb” is double the baby’s age and buy that size. Newborn sizes, they are only in that size for a nano second, so don’t buy many. When the baby is 3 months, buy 6 months, when they are 6 months buy 12 months, etc. Do this until they get into toddler sizes. As far as fabric is concerned, buy as much cotton as you can. Some manufacturers, such as Mulberribush are now offering organic cotton. That may be the ticket for babies with very sensitive skin. Remember, to ALWAYS wash whatever you buy before putting it on your baby. Cotton blankets, sheets and towels are preferred since they too are next to their skin. School (will be) Out for Summer! I know my kids will love this idea from Family Fun magazine that I found on the Tip Junkie Blog. I have three children… the oldest two children, 13 and 10, cannot wait for school (and the homework and tests) to end. Unfortunately, my youngest child, 7, is nervous about school ending and the long, unstructured days of summer. He does not want to leave the comfort of his school with his many friends and wonderful teachers. After finding this great idea, I know what I need to do for him. I am going to throw a SURPRISE Welcome Summer Party on his last afternoon of school. I am going to hang a banner, make these ice cream treats , and have a party. I think he will be thrilled and hopefully, will start the summer with a smile on his face. 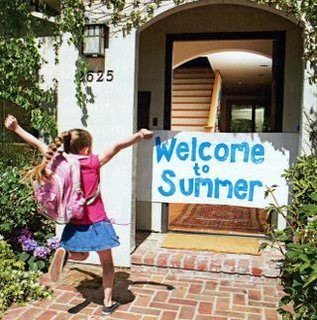 I would love to hear if you have any ideas of how you ease the transition to summer for your children. I think I may need help this year! 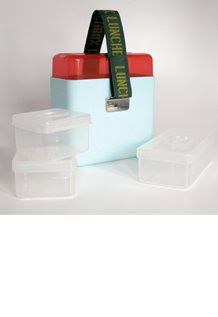 Check out our newest product, the Deluxe Lunchbox by OOTS!. This contemporary design features kid-friendly, food-safe materials and four custom containers (dishwasher & microwave safe) that fit comfortably inside. Easy to clean and fun, the upright design keeps food from getting tossed around. This lunchbox is so cool that is featured in Oprah's June O-List, as well as in this months issue of TimeOut New York Kids, AND will be mentioned tomorrow (Memorial Day) on Good Morning America! Watch for the picnic section and the folks from OOTS! Are you planning a cookout this Memorial Day weekend? 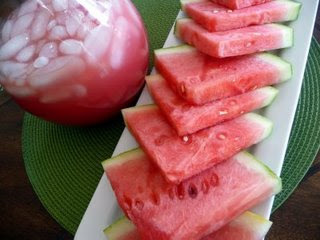 We found the yummiest recipe on the Good Life (Eats) Blog to round out your menu- Watermelon Lemonade!! It is SO easy and looks delicious. Your whole family will LOVE this special summer drink. We made it for our company cookout today, and it was delicious! Our company chef, Mark (who also happens to be Tina's husband), grilled hamburgers and hotdogs and we ate outside on the picnic table in the sun! What a great start to our holiday weekend! We were planning to share some fun photos of all the CWDkids' staff at our lunch celebration, but sharing them would just be mean. We used the camera we have on hand for our samples and to be honest, it takes AWFUL photos of people. We all look like we have been working way too hard! So for vanities sake all we are going to share is the food. 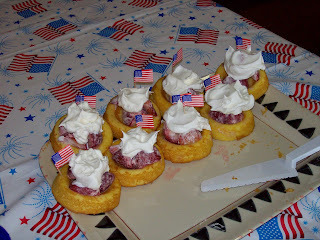 Marylou brought in these beautiful shortcakes complete with festive flag decor. They were yummy, and the only reason there is still half a plate to photograph is because we had all loaded up on lunch. We hope you all have a wonderful long weekend. Have some watermelon lemonade and shortcake while you remember our service men and women. Tracy: I found this picture on MSNBC… from their week in pictures (#7)… I like this photo because it is artistic, but also makes you think how great it would be to be a kid again! Melisse: I grew up in a Military family, dad was in the Army, so this organization, Air Compassion for Veterans has special meaning to me! Plus I thought it was an appropriate link to share as Memorial Day weekend approaches. ACV provides free medical air transport to aid in the healing of any wounded warrior, veteran, active duty military person or their family members for as long as needed. Please read the story A Very Special Eight Year Old! Ashley: Just in time for Memorial Day weekend and my trip to the beach, I found four delicious and easy to make picnic menus on the Real Simple magazine website. Take a look and you will see that they are just my style, partly homemade and partly from the local market. LOVE IT!! With the help of these simple menus, I can make a super beach picnic that I know my family will enjoy and will take VERY little of my time. Who could ask for more? Have you ever dripped coffee, tea, or the dreaded red wine, on your favorite top? Have your kids ever walked in the door with a big ketchup splat on their pants? Don't panic....there is help! Before you give up and retire that article of clothing for good, read these great stain removal tips from About.com. Most stains can be removed, or at least greatly minimized, if you deal with them promptly. Scroll down for tons of ideas on removing all sorts of stains from beets and mayonnaise to crayons and Easter egg dye. You'll get step by step instructions on how to tackle the toughest stains in laundry, carpet, upholstery and more. Also, click here for About.com's top 10 favorite stain removal products for laundry. Who wants to trash perfectly good clothing that you worked hard to pay for? CWDkids carries quality clothing that can be passed down from sibling to sibling to sibling, so it pays to get those stains out! We've been tracking our Facebook fans by city...Atlanta and Richmond are tied with the most fans at 28 in each city. We have 18 fans in Houston, 14 in Birmingham, and 12 in Norfolk. The list goes on and we seem to have a good representation from cities all across the USA! So tell all of your local friends to add CWDkids as a fan! We'll keep you updated on who's winning! 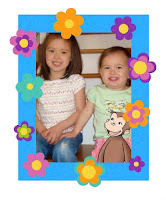 Click Here for CWDkids Facebook Fan Page! Providing quality merchandise takes top priority in our company, and we've assigned an important person to head our quality assurance team. Not only has Sandra been with CWDkids for 20 years - she's also a mom and grandmom with an experienced eye for how clothes fit best. She's the one who personally checks every item before it goes into the catalog to ensure that sizing, color, fabric content and other details meet our high standards. And if they don't, she calls the manufacturer to redesign the product. Sandra feels strongly about her work: "As a consumer, I want to be sure I get what I see in the catalog," she says. "If I don't think it looks right or isn't going to wear well, I speak up. It makes me happy when I catch a mistake, because it means it'll keep a child from being disappointed. Our guarantee says 100% satisfaction, and we really mean it." Like the other loyal employees who have worked at CWDkids for many years, Sandra believes in the company and what it stands for. "I've never had a day I didn't want to go to work," Sandra says. "It's a family run business, and it truly is a family atmosphere." Sandra and the rest of our team at CWDkids always strive to bring you the best quality merchandise from the best manufacturers for the best value. Ten years have gone by since that profile was written, but not much has changed. I have added a few more job responsibilities to my plate including inventory management and buying for our retail stores. At home, I have added a couple of additional grandsons and have a granddaughter due this coming January! I still love coming to work though and plan to stick around for at least another ten years... check back in with me then! I am the youngest of three children of Mildred and Buck Crawley. My parents will celebrate their 62nd wedding anniversary this month! I am an animal lover. I visit the The Animal Rescue Site on a daily basis... it allows visitors to help animals by clicking a button to give food to an animal in a shelter at no cost. Now that I am a parent, I am very thankful to have had a mom who would literally chase me around with sunscreen when I was little. Looking back, I know that it was likely very frustrating to tackle that task on a daily basis. But she did it religiously... and that was in the 70's when people were still slathering on baby oil and baking themselves! As a result, I send my daughter off to daycare coated with sunscreen so she is ready for morning playtime outside. Luckily for me, my daycare providers recoat her before they go out in the afternoons. If not for the sunscreen, I would be picking up a little red lobster or she would just have to stay inside since she inherited my fair skin tone. Neither of those alternative are options I want to consider. I saw this article on Modern Mom that has some great tips for keeping kids as protected as possible while still letting them have summertime fun! I clicked through to the Skin Foundation website mentioned in that article as well and was very glad to know that our rash guards and wetsuits exceed their recommendation of a UPF rating of 30 or higher. The Ultraviolet Protection Factor is a measure of how much UV will reach your skin so the higher, the better. A UPF of 30 means that 1/30th of the UV will get to your skin. Are their other pieces that you wish we carried that had a UPF rating? We have these terrific options for the beach and pool, but if we offered everyday clothing with a UFP rating, would you be interested in purchasing it for your child? While my usual Saturday starts with a run (see Tracy's Staff Profile), this past Saturday's was a little more special. I ran the 3rd Annual Taylor's Hope 5k - A 5k for SMA! I have wanted to run it for the past 2 years, but each year I have had a conflict. Year 1 was a week after I had my first baby and last year said baby woke up with a double ear infection so instead of running the race, I had to run to the pediatrician. I was determined to make it this year! This cause has become dear to me since Taylor is the daughter of a friend of mine. 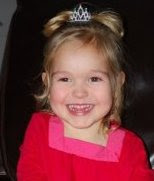 She is the most beautiful, bubbly little girl and her whole family has such a positive attitude. I sooooo want researchers to find a cure and soon! SMA (Spinal Muscular Atrophy) is the leading inherited killer of children under 2. Also, CWDkids has supported Fight SMA over the years as a company. This photo is actually a very large poster from one of the SMAsquerade Balls that hangs in our quality contol area. 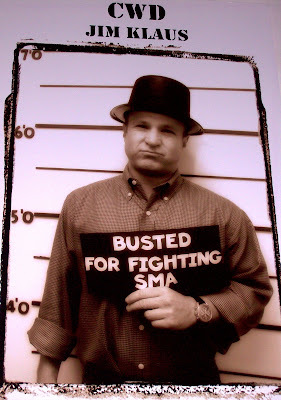 Everyone gets a kick out of seeing the President of our company in his "mug shot". Ashley: Who knew Wednesday was National Fudge Day? We are always happy to celebrate such a sweet holiday. 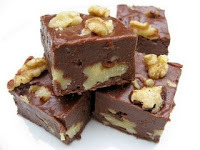 Take a look at the Skip To My Lou blog for a yummy fudge recipe. Tracy: I like this post because all moms need Girls Night Out. My last hurrah consisted of meeting some other moms for Happy Hour. Yes, I was home by 8PM, and no,it was nothing like this behind the scenes jaunt to Dancing with the Stars, but I did enjoy catching up and having some adult time with friends! Jim: I love this slide show from The New York Times about Vauban, Germany, a community with virtually no cars, driveways, or garages. People are moving to the car-free environment to raise their children in this environmentally safe suburb. Many locals call it a "children's paradise" where youngsters can wander safely from a young age through the city. Kara: I found this information on choosing the right Day Care interesting because I am in the process of seeking day care. There is a lot to think about and consider when choosing a child care provider so its nice to have a check list to reference. Ashley: Simple Mom is on a spring cleaning kick. Take a look here to see the miracles Simple Mom worked in her children’s rooms! You will find some great ideas on how to organize and clear out your kids’ rooms. Have a great weekend! Let us know if you found something extra special on a blog this week. We would love to hear from you. One thing is for sure...I am definitely set in the clothing category. I work for a children's clothing company who just happens to carry high quality, adorable clothing, AND I have two nieces. All those CWDkids outfits I spoiled the girls with with be coming right back at me...not to mention the boxes of clothing my sister has all packed up and ready to send to me! (and that's just for the first 6 months!). I feel so blessed to have the support of family and friends to help during this amazing journey and new chapter in our lives. Please post your comments and let me know what I can expect. 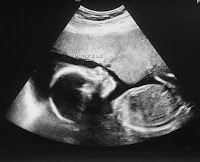 It's our first baby and we are having a girl. All advice is welcome! 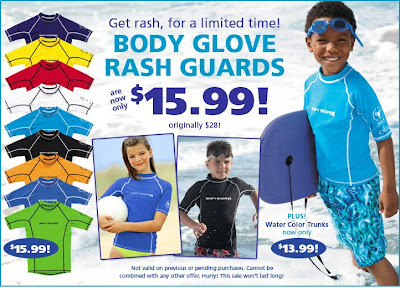 Limited Time Only - Get our popular Body Glove Rash Guards for only $15.99 each! You don't want to miss this matching brother-sister Deal of Day! Today only, we have slashed prices on two of our most popular customer favorites! Having a birthday party for your Pinkalicious little girl? Why not make her favorite treat of all....pink cupcakes! Here's a really simple recipe from Season to Taste that will be a big hit at your next party. We love Pinkalicious AND cupcakes at CWDkids. The Book and Pajama set or Pinkalicious t-shirt are great gift ideas, along with our Cupcake themed styles! We love this post from Nature for Kids because it combines two of our favorite themes from spring... baseball and glow in the dark! Warmer weather is on its way! Take their ideas about how to retrofit baseballs and bats to play your kids (and your) favorite pastime once the sun goes down on warm summer evenings. Take your game to the next level with any of our fun baseball print tees and our glow in the dark lightning bug style. We would love to get photos or stories about your fun summer night activities with your own kids... what do you enjoy doing most? CWDkids has Partnered with UPromise! CWDkids will help you add to your kids' college savings plan! Upromise will donate 2% (4% through 5/23) of your total purchase price at CWDkids toward your child's college fund. For details and to sign up, visit http://www.upromise.com. Leave us a comment to let us know what you think! End of Season Sale - Starts Today! 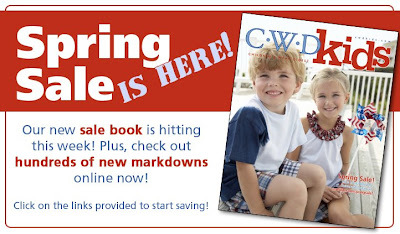 Our End of Season Sale catalog will start arriving in mailboxes today. Shop now for the best selection. These deals will not last long as quantities are limited! Create your own Ice Cream Contest at Ben & Jerry's! Need something for the kids to do that doesn't involve video game controllers? Sign up for the Project of the Month Club and enjoy hands on projects with your kids! 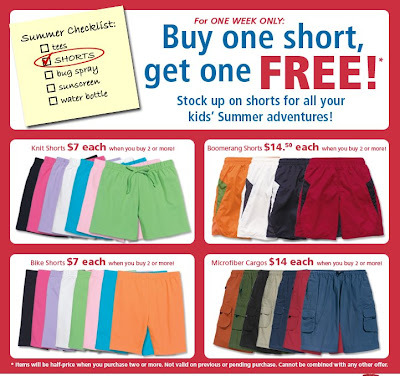 Our girl's and boy's Pull-On Shorts are perfect for summer. Stock up for camp, play, and everyday wear during our Buy One Get One Free* event! *Items will be half price when you purchase two or more. Check out these awesome Wednesday Only Deals! Today is Cinco De Mayo! Did you know that the Cinco De Mayo holiday commemorates Mexico's defeat of French forces at the Battle of Puebla on May 5, 1862? Cinco De Mayo is celebrated in the United States and other locations around the world as a celebration of Mexican heritage and pride. The date is perhaps best recognized in the US as a date to celebrate the culture and experiences of Americans of Mexican ancestry. Special events highlighting Mexican culture, especially in its music and regional dancing are popular celebrations honoring this day. Here are some links to some fun Cinco De Mayo Crafts, Recipes, and Activities! Save 35% On Everyday Wear! 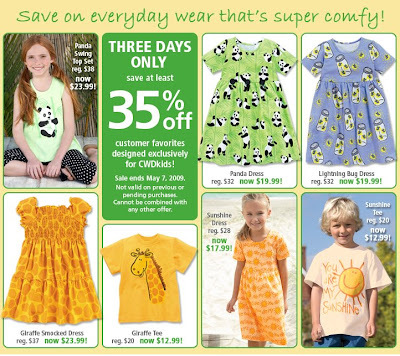 Save 35% on these customer favorite CWDkids Exclusives for three days only. Kindergarten Art Lessons - How To Draw A Pig & Much More! Facebook Survival Guide - What You Need to Know To Avoid Embarrassing Your Kids!